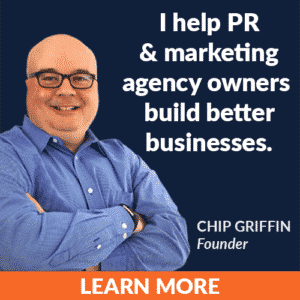 In the final episode of 2018, Chip Griffin and Gini Dietrich discuss what it takes to move from being a solopreneur or small team to becoming an actual agency. They cover some of the mindset challenges, the process work needed, and other advice on overcoming the hurdle of becoming a “real” business. 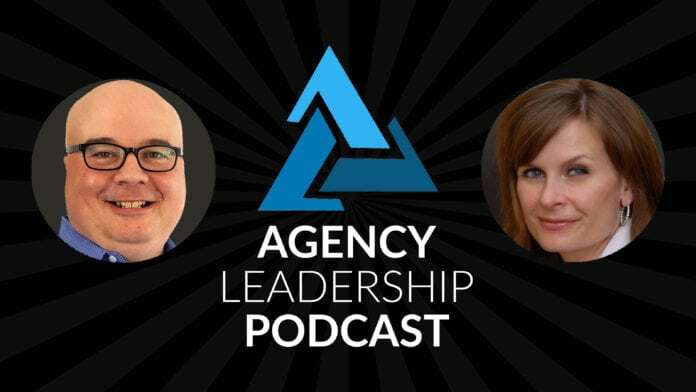 Hello and welcome to another episode of the agency leadership Podcast. I am one of your hosts, Chip Griffin. thought we’d mix up the opening there a little bit, just because you got to have a little bit of variety in your a right. And you know that that way, we sort of see if people are paying attention right off the bat. And, you know, for the fall asleep engine. So there you go. That’s good. You know, as long as you and I are paying attention that probably will improve the quality of the podcast. So what else will improve the quality of the podcast? Well, that’s telling you what the topic is. And today we’re going to talk about scaling or really, in particular, how do you take your what I would call your mini agency, your freelance agency on steroids, your nucleus agency, what however, you want to phrase it and turn it into a real agency business? Is that Is that a fair way of describing the topic? Gini, since it came out of community, once again, I’m going to let you have the first word and anything else you want to say about the original question. black mango, you can tell chip, it was Yes. Marketing. Fortune, I caught it before any, any listener did. It was one of those things, you know, after I posted, I’m just like, something was gnawing at me. And, and, and so finally, I went back and I looked, I’m like, oh, oh, look, Episode, whatever it is, eight and seven are exactly the same. I don’t think that’s likely. But you know, it just happens, right? Because, you know, you’re just, you’re thinking about so many different things. And it all feels new, and, you know, whatever. So, so having those checklists, it’s useful, frankly, for existing employees. But it’s really useful as you scale up and it’s useful to make sure that you have your way of doing right exactly right. So that so that when people you know, hire Armand Dietrich, or they are hire Griffin strategy for the higher whomever, you know, there is a way that we do it. And it’s, it’s probably not exactly the same way as somebody else. But, you know, just like, when you go to a restaurant, they follow that same recipe, you know, it’s the same sort of thing. You know, if someone refers business to you, they can be comfortable that you’re going to follow the same basic recipe, right, tweaked for that individual’s personal tastes, needs and all that. But so really, really helpful to have those in place. I think the video is an excellent suggestion. Because it you know, it allows you to, instead of, you know, having something that says, click on this box here, you know, people actually see where is that box and, you know, with web apps today, you know, some of them got pretty fancy. And so, it may not be intuitive if you’re reading and text were to click, whereas if you’re watching a video, you know, you can figure it out, at least until they decide to change their interface up, right. But it and and I think a lot of people overlook the, the, the utility of video because they think it’s too difficult to do. But oh my god, there there are so many tools out there that make it easy peasy. And you have to keep in mind, you know, whether you’re doing it for internal external video doesn’t have to be absolutely perfect, right? I mean, know, if you’re, you know, maybe NBC or CNN or something like that, well, okay, great, you know, you the bars as much higher. But for most businesses, if the audio is clear, and the video shows what you need to see your golden and there’s so many tools that let you do that you really should incorporate that into both your internal and external communications. yeah, and there are other things too, I mean, I’ve used camp Asia for a long time that that’s not cheap. But it’s, it does a really nice job. I think that’s what Chris Penn uses for a lot of his videos as well. So, you know, there’s any number of tools out there, and it’s really just, you know, finding the one that works for you. But the, you know, as far as building your agency into a business, that the key is just to just sort of take that information that’s maybe in your head or, you know, your partner’s had or whatever, and, and get it down so that everybody can be on the same page, because, you know, the first piece of growing your business’s is nailing the client service angle. Right. Right. And, and I would say, even on that aspect, you know, there are certain ways that we do things from a client’s service perspective. And I, I expect every single person in my organization to treat claims the exact same way that that I would, and so we’ve created process around that, too. Yeah, and a lot of it is, you know, setting sort of what the standards are, you know, one of the things I’ve done all my businesses set, okay, you know, here is the expectation for how fast you respond to a client, right? Yep. So, you know, what are the guidelines and, you know, sit and same thing for prospects or what have you, you know, that there should be, you know, basic standards that you operate under, and basically approaches I mean, in the old days, when, you know, we used to get a lot of incoming phone calls, you know, there was a lot of thought given to, how do you answer the phone, and, you know, what, you know, what are the words that you say, so, that that’s, you know, a repetitive process as well, less important today, because most of us aren’t getting unsolicited phone calls from anyone other than sales reps. But, you know, nevertheless, it’s, you know, having all of these things nail down so that you have that consistency will make a huge difference to your success. Yeah, and thinking I mean, I love the Catherine’s thinking about it now, versus, you know, and she has 10 or 15 employees, because it’s going to be far easier now than it is later. You know, one of the things that we’ve done, we did really early on is we implemented a support, this is on this side of support, email address. And, you know, in the beginning, it’s still came to me, but as we’ve scaled, it’s allowed us to put Zendesk in. And then, you know, create rules, so that the support email goes to whomever on the team at should go to. And if we were, if we had implemented that, this year, instead of five years ago, it would have been much hairier, and much more cumbersome, and probably even expensive, because we would have had some had to have somebody come in and actually implement it, where we just boom, done, you know, install it, and it was done. So, you know, thinking about that future stuff is as well, you know, if, if we, while we may not need a support email address right now, we could very well needed three years from now, five years from now. So let’s implement that structure now and get people used to it so that we can implement it at a higher level later. Right. I mean, a simple guideline to think of is that the processes and paperwork are designed to prevent problems or deal with them when they happen. Yes, right. And, you know, if you think about it, in those terms, you know, processes and paperwork no longer become bureaucracy and busy work, and you no wasted time, but really, it’s an investment in the future. It’s an investment in in a better future, or at least a less bad future. And so, you know, those are the tools that you want to be thinking about, frankly, pretty early on and, and you’re going to miss things that there will be things that come up that that that aren’t covered by whatever processes you’ve already thought of. So be it, you know, it least if you’ve if you’ve done the legwork on a number of areas, you will reduce the problems that you have. and I also as you as you add, even if its full time contractors, or part time contractors, but even as you add colleagues, have them write down a list of things that they do every day, because those are the kinds of things that a you can create process around and be eventually automate or use robots to do for you. Right. Well, and the other thing is, you know, years ago with my company, custom scoop, I, most of the company’s technical knowledge in the early days existed solely in my brain, right? And so, you know, if something went wrong, I was the one who fixed it. Okay, well, that’s fantastic. Yeah. But, you know, then what happens if I get hit by a bus? and it laid out all of the different because look, stuff happens, right? Right, right. You know, someone quits someone, someone does something, and you have to fire me have no choice. If, if that information goes away, what do you do? So anyone, and this is very common in the early days of an agency, that you’ve got one person who knows how to do something, right? As you get bigger, you tend to be you know, there tends to be more knowledge sharing, just by happenstance, everything else. But when you’re small, you’ve usually got the one expert in this, or the one person who knows this client. And so you need to make sure that you’re, you know, you’re taking down what, you know, what processes are they going through, particularly if it’s customized for an individual client, again, you know, going into the sort of the custom scoop example, we had folks who were producing Daily News briefings for clients, something that many agencies do for their clients, well, each of those tends to be tailored for the individual recipient, right. So, you know, you need to make sure that your whoever’s working on it has put that process pen to paper and says, okay, every morning, this is what I look at this, these are my sources, you know, whether I’m using just my monitoring service, but then, you know, perhaps doing some manual searches, or, you know, whatever it is that you’re doing, here’s what I do, here’s how much I generally find, you know, whatever guidelines they can give, so that if, for some reason they were super second couldn’t come in the next day, someone else can just take a look at that document, put together something that’s, you know, pretty good, you know, they’re not going to be exactly the same as someone who does it every day. But, you know, they need to be good enough. And then they will improve over time if they act to actually take it on, but don’t let any knowledge reside only in one person’s head. And I would also add to that really think about, you know, I mean, going back to your hit by a bus document, does somebody have access to your bank account? Yes, you know, if, I mean, God forbid, something like that were to happen, you know, how, how does how does somebody access that get the information they need, and and truly dole out the finances appropriately. But, and this is a touchy subject, right? And so I glad you brought it up, because agency owners and most business owners, in my experience, are super reluctant to let anyone have access to the bank account of themselves, right, oftentimes, including their spouse. Yeah, for various reasons, right. And, but, but you need to make sure that you are not the only ones with the keys to the kingdom. Yes. Right. Because, I mean, think about it this way. And, you know, again, you’re dealing with bad situations. But I mean, let’s say that you are in a car accident and you’re laid up in the hospital, you would like someone to be able to transfer money to you, actually, you can pay your own bills, right? So think about it purely selfishly, don’t worry about it. Just think about it, those terms, and you’ll be much more willing to give up some control. correct? Yeah. And you have to make sure, obviously, that you know, it even if you don’t like looking at numbers that you’re looking at the numbers. Yeah, because anytime someone else has control, you are incurring a risk, right? I mean, there are, Yes, you are. And, and, and you can always spot it. I mean, I, I had a good friend years ago, who ended up, it turned out he was embezzling money from business, I, I had no suspicion of him whatsoever was not my business. But, you know, nevertheless, it caught me by surprise, I know, caught his boss by surprise. So, you know, look, these things happen. And so you need to, to make sure that you have safeguards in and, you know, probably will have a show at some point, talking about finances generally, because I think there’s a lot of things to talk about in that regard. But, you know, important to think about, you know, sort of all those what ifs, and, you know, if this happens, what do we do? And it will help you think about which processes you need to put in place. Yep, and then prioritize them. So, you don’t get overwhelmed. Yes, it may take you a year. And that’s okay. Absolutely. I mean, and, you know, you’re not going out at a time, don’t, don’t, don’t try to some people like to, say, boil the ocean, you know, there’s, there’s, there’s no reason why you have to address everything all at once, you know, sort of take it, give it a good thing can say, Okay, here, the thing is most likely to go right. And you may juggle it over time, you may have a list of 20 things. And, you know, item number 25 all of a sudden pop up because, you know, we’re feeling a little squeamish about him, and, you know, this employee over here, and, you know, maybe they’re looking at another job opportunity, maybe, maybe I need to focus on what they do, and get the processes there, or whatever I mean, so, you know, make sure that you’re flexible in your planning process as well. Yeah, and I think you’ll find as well that once you, once this is in your brain, you’ll just automatically start doing videos or writing down process or creating checklists or, you know, however you want to handle it, you’ll automatically start doing that, and it’ll just become habits. So, get it in your brain and start building the habit now, and it’ll become lots easier. Absolutely, it really does. I mean, anything is better as, as it becomes a habit. But in this particular case, you know, focusing on what I would consider a little bit more of the drudgery side of the business, frankly, if you can make drudgery, a habit, you know, you’ll, you’ll get there a lot faster. I mean, it’s, you know, it’s like anything else, you know, the things that you don’t want to do do those first in the day, you know, take take 20 minutes and work on process in the morning before you’ve got distracted, and you can give yourself a good excuse for not working on it. after I record that podcast. So Jenny, that’s, that’s what I’m going to get to that item there. And then, you know, I mean, everything can come up. And at the end of it, I’m like, Oh, geez, I don’t I’ll put that after tomorrow. Right? Don’t do that with these process things. Because it will save you heartburn, but it also save you time and make you money. And, and the the last area that I would that we haven’t touched on yet that needs process, business development. 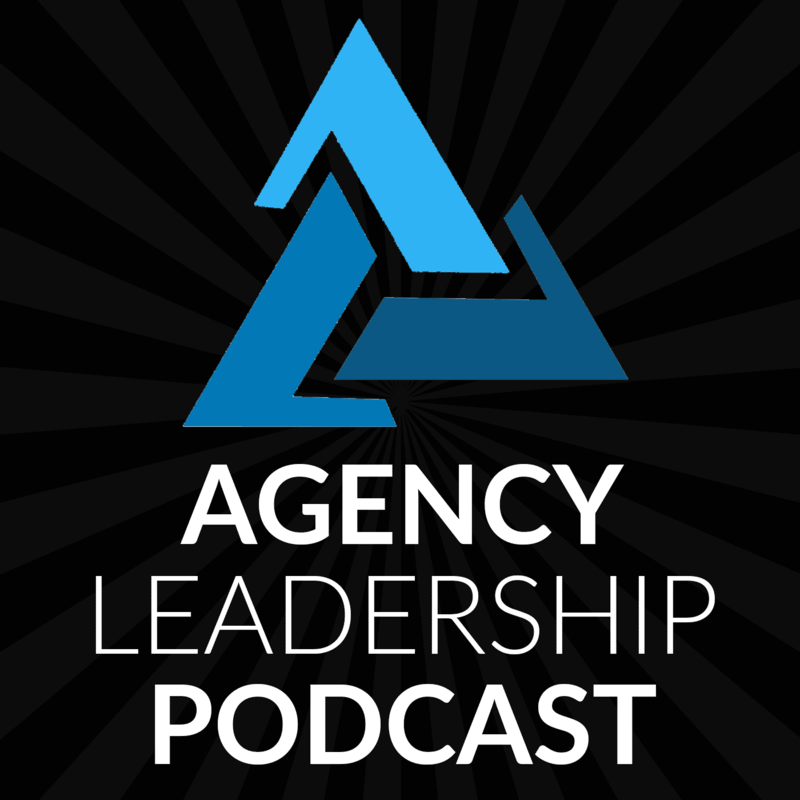 I mean, agency owners have this almost mystical belief in just building relationships, whatever that means. And talking to people, we need a process, right, you need to actually lay it out, you need to know who it is, you’re talking to, what you’re talking about, follow up schedules, you know, whatever it is, but, you know, particularly if you’re, if you’re interested in scaling your business, start putting processes very early on around how you’re doing business development, because part of it will keep you accountable to yourself, but part of it will help you identify, okay, you know, let’s not just let’s not talk to chip, just when we feel like it, let’s let’s actually have a rhythm here, you know, based on based on this conversation, what’s my next step? And it may be that they’re not going to be a client for 18 months or 24 months. But, you know, think about, you know, how do you keep those contacts going and target very specifically to that individual. Because, you know, if you if you just expect that you’re just going to talk to people in business, this is going to fall out of the sky, that’ll work for the first couple of employees, perhaps, but after that, you can’t scale a business without a business develop process, you cannot. So process around everything. Process process process process. Yes, yes, yes. And yes. And I will repeat that if you’ve not read Built to Sell, I highly recommend it because it definitely helps you think this through.